Progressive Minerals Inc. established in the year 2002. 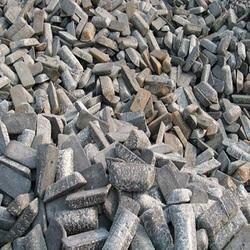 We are leading Exporter Supplier and Trader of Raw Gold Dust, Raw Gold Bar, Diamond Stone, Natural Diamond, Iron Ore Lumps, Raw Iron Ore. We are also providing Finance & Funding Consulting Services and Solar Power Plant Consulting Services. These products find wide applications in various industries and are preferred by our clients for their premium quality. All our products are procured from certified vendors, who are selected on the basis of a valid and stringent evaluation. We carefully look into their past records to make sure that they had a good reputation among their previous clients, and delivered their products on time. Since the time of our establishment, we have been very particular about providing only the best quality products to our esteemed customers. To ensure this, we always get these products stringently examined by our crew of highly proficient quality control experts. Further, our well laid distribution network helps us to deliver all our consignments on the promised time so that we can provide optimum satisfaction to our vast client base. Hence, we have earned a vast clientele in the marketplace.